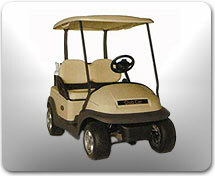 Home > What Year Is My Club Car? 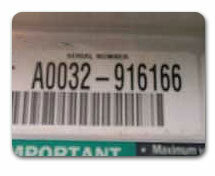 The first two numbers are the year of the golf cart (this is a 2000 model). 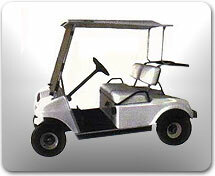 If you have 2 brake pedals your golf cart is older than 1981. 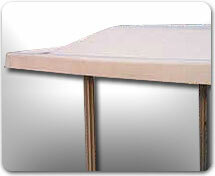 Note the black top supports. 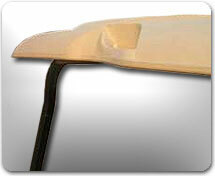 In mid year 2000 Club Car changed roof styles. You may need to know what style when ordering certain parts. 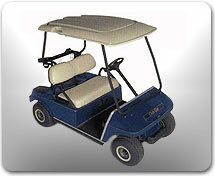 In 2004 Club Car came out with the Precent cart model.